This video is a little different from all the other “survival food” videos out there. In it, The Green Prepper talks about five tiny items that are often overlooked, yet pack a big punch in terms of taste, energy, and nutrition. 1. EmergenC – Mix this stuff with water to make a delicious citrus drink packed with vitamin C.
2. Honey Packets – It’s a great sweetener, but it’s also good for your health and has many uses. 3. Energy Drink in a Pouch – No need to stock up on cases of Red Bull. These packets have just as much caffeine. 4. Soy Sauce – It never goes bad, and it’s full of electrolytes in case you’re out in the heat all day. 5. Canned Fruit – Buy purchasing canned fruit, you’re storing fruit AND the water it’s packed in. Because of this video, I’ve started getting some Crystal Light caffeine packets and grabbing honey and soy sauce packets whenever they’re free at a restaurant. 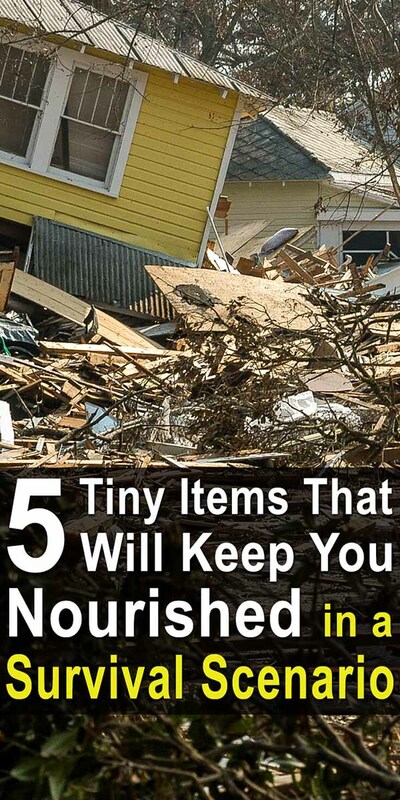 Watch the video below to hear his commentary on these tiny items. As to the small packets of honey, look at the label. If it says anything but ‘Pure Honey” it’s colored corn syrup, or some unpronouncable, string of chemicals. One fast food chain has packets of honey sauce .. corn syrup. Not sure why caffeine is required in a survival situation. Some folks don’t consume caffeine at all, like those who have blood pressure or heart problems, or members of the Mormon church. For some people it’s merely a personal decision. Caffeine IS a drug. I completely agree, caffeine isn’t necessary. But there are a lot of people out there who will be miserable once caffeine is unavailable. They need to either wean themselves off of it now or stock up on it ahead of time. I would definitely make sure that the soy sauce and anything canned is organic, otherwise you’d not be doing anything good for your health. Putting nasty chemicals in your body, is NOT the way to go! Del Monte makes 8oz small cans. Most grocery stores carry them, but not in large quantities. Even Bush’s baked beans come in the small cans. If I camp my myself, its the perfect amount. I have found the small meat (tuna and spam) packs and WalMart. I have not seen small vegetable packs. Make your own from dehydrated veggies/fruits in vacuum pouches. I have not seen the small vegetable/meat packets. Who makes them and where have you found them?